I’m so indecisive when it comes to gift giving! I want to to find the “perfect gift” and have it be something that the person can actually use and didn’t expect to receive. The gift needs to be something that the person would never even consider re-gifting. It has to be unique, interesting and of course, high quality. I personally would never re-gift something someone gave me, but I’ve seen people do it. I was at a bridal shower a few years ago and one of the gifts was a casserole dish. You could tell it was old and looked to be from the 70’s just by the design and wear and tear on the box. I couldn’t believe that someone actually gave it as a gift. It was just so obvious it was a re-gift, but the bride didn’t let the person know she knew. You could tell the other guests knew just by the looks on their faces. I guess that’s another criterion for me: to find a gift that will never ever be re-gifted! With that said, where do I find amazing gift ideas? I recently found a site full of interesting and functional products that are “built to last”: Izola. 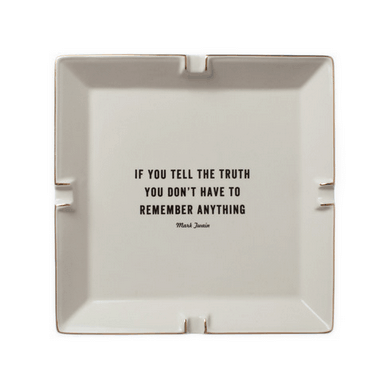 Whether your shopping for his or her gifts, weddings, showers, birthdays, etc, Izola has lots of unique products that no one would ever dream of re-gifting. They’ve got a wide selection of flasks, soaps, candles, laundry bags, home textiles, ceramics, luggage and even bamboo toothbrushes. I like that their product selection isn’t your typical run-of-the-mill gifts either. These are interesting gifts and keepsakes. I’ve come up with a list of 10 of my favourite products from their website — including gifts for him, her and even a few wedding gifts since wedding season is coming up soon. 1. Put Some Hair on Your Chest 5 oz. Flask: Because men love their flasks! I like that you can also add some personalized engraving on it too. Izola flasks are both cool and hip and would make an excellent gift for the man in your life. They’d also make fabulous gifts for groomsmen! 2. 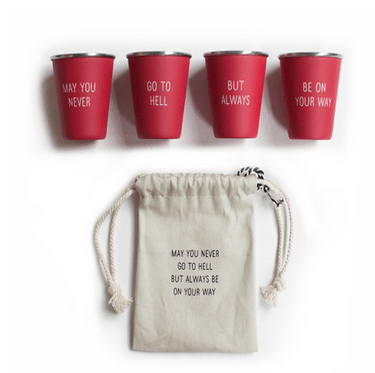 May You Never Shot Glass Set: This set reminded me of my dad’s bar in our basement, aptly titled, “Dave’s Bar”. He was always adding fun knick knacks to his collection. 3. 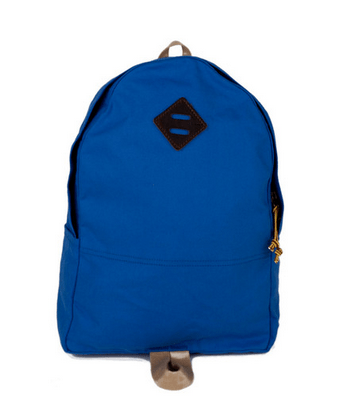 Archival Day Pack – Blue: My dad often spends time at the Hunt camp and has a worn out bag that he packs his clothes in. This bag looks sturdy to use in the outdoors and it’s also made from water-resistant cotton duck, Horween Chromexcel leather. That’s definitely a unique combination! 4. 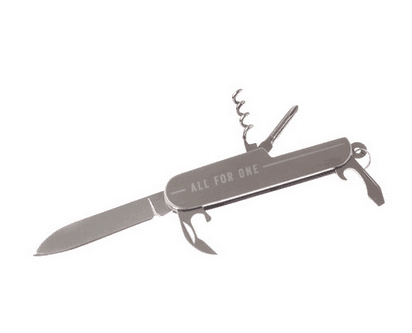 All For One / One For All Pocket Knife: My dad likes to be prepared for anything and is our “go to” guy for anything that needs to be fixed around the house…big or small! This knife has a corkscrew, large blade, bottle and can opener, and screwdriver and I can see him using it lots especially when he’s spending time out at the camp. 1. Powder Room Soap Set: My grandma loved receiving fancy soaps as a gift and I thought of her immediately when I saw this set. The soaps are handcrafted in the style of fine 18 century toiletries and are made with an all-vegetable base with olive oil, cocoa and shea butter and essential oils. 2. Thomaspaul Ship Wool Scarf: I thought this scarf was so pretty. It would make a stylish accent to make an outfit really pop. It’s made of 100% merino wool and is hand silk-screened with a signature Thomaspaul print. 3. Archival Waxed Twill Duffel – Gray: I thought this simple Twill duffel would be perfect to use on weekend away or those short jaunts out of town. It’s also the perfect size for bringing on as a carry-on bag on an airplane. 1. Twain Catchall: Catchalls are a place for the couple to keep their odds like keys and loose change. I love the saying on this one and reminds the couple about staying honest and open with one another. 2. 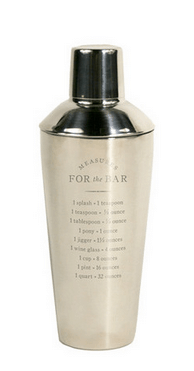 Measurements Cocktail Shaker: The couple can relax after a long day with a martini made in this elegant cocktail shaker. It’s not something that you would normally buy for yourself and I also like how it has the measurements listed on the side. 3. Hellos & Goodbyes Linen Guest Book: This item can be used as a guest book or for the couple to jot down important phone numbers, passwords, notes, etc. It’s much nicer looking (and more organized) than a bunch of loose papers all over the house. I appreciate Izola’s attention to detail and focus on quality. Both are important characteristics to have when you are searching for the perfect gift. I’ve only rounded up my 10 favourites, but have a peek at their site and you can find lots of more of wonderful gift ideas. Which product from my list would you like to receive as a gift? 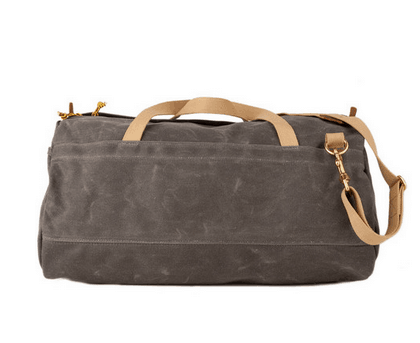 I like the Archival Waxed Twill Duffle – Gray. It would be a good Father’s Day present for my husband. He doesn’t have one. 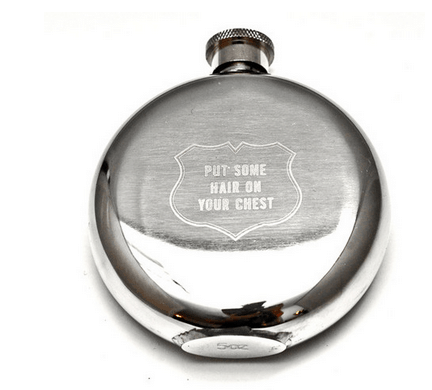 Put some hair on your chest flask. some very nice gifts, I always have a hard time finding the perfect gift, but this site might just be my lifesaver, thanks for sharing!! I have never heard of this site before, but it looks interesting. 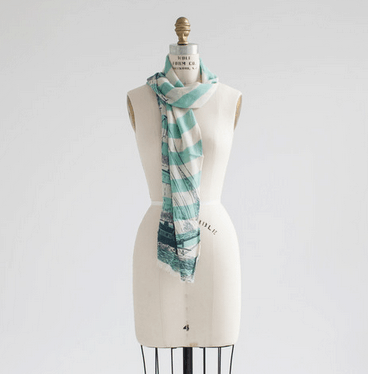 I really like the Thomaspaul Ship Wool Scarf. That’s so lovely. I love scarfs, so the scarf you mentioned is what I would like to have. Great gift ides! I had never heard of Izola before. Oh, I love that catchall! It would definitely get used around my house and would look great in my bedroom! The archival duffel bag is nice! I like the Twill Duffel and the Twain Catchall.